Artist Trading Card Kit of the Month - October 2016 Halloween Kit. This is what is included: 1 - 3 in. x 4 in. American Craft's Halloween Double-Sided Paper - Going Batty, 1 - 3 in. x 4 in. 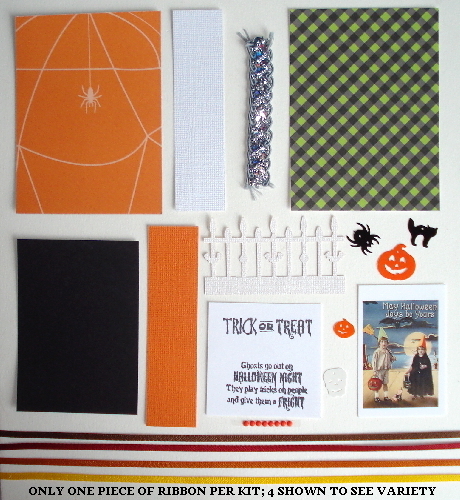 American Craft's Halloween Double-Sided Paper - Spooktacular, 1 - 2 1/2 in. x 3 1/2 in. 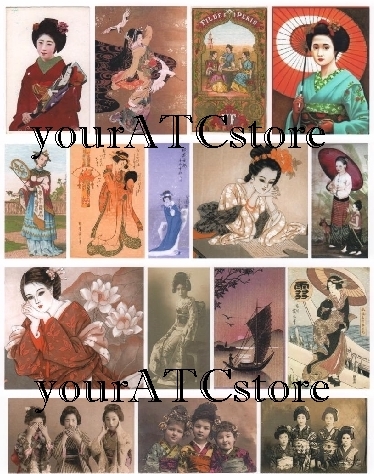 Black cardstock ATC size card, 1 - 1 in. x 4 in. piece of Orange Bazzil cardstock, 1 - 1 in. x 4 in. piece of White Bazzil cardstock, and a hand stamped word phrases "Treat or Treat" and "Ghosts go out on HALLOWEEN NIGHT They play tricks on people and give them a FRIGHT". Hand stamped on white cardstock with Black Staz-On ink. 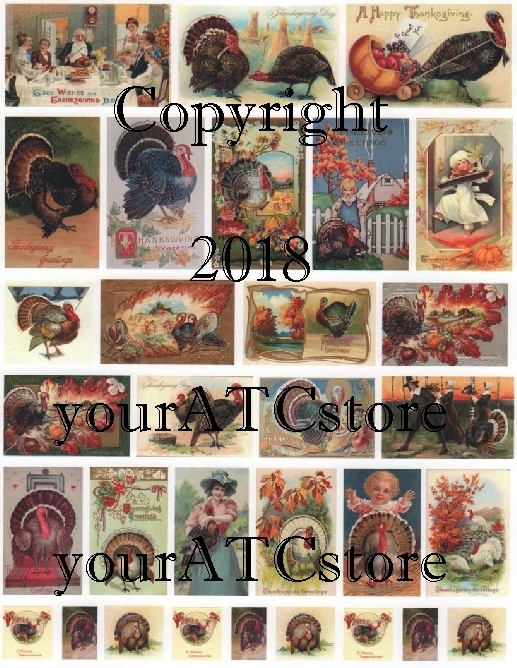 Also included is a Picket Fence Die Cut paper piece that has been punched from Core-dinations White paper, a Collage image of 2 vintage trick-or-treaters that has been professionally printed for you. This image would look adorable with the children placed behind the picket fence. There is also a gunmetal braided sequin trim piece. It is a 3 layered ribbon with mini grey piping, black iridescent sequin ribbon running through the center with tiny silver glittered strip that criss crosses over the top. Just beautiful! A 1/8 in. piece of ribbon. There are 4 different colors; one will be included in each kit. Colors are yellow gold, burgandy, halloween orange and brown. Some sequin shapes: orange large and small pumpkins, a black cat, a black spider, and a white scull. Also a row of 8 tiny orange adhesive gems in a row. 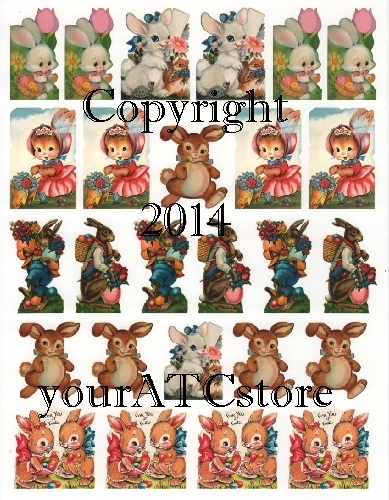 You can cut these apart and stick them on your ATC, and a clear ATC sleeve.